This is part of a continuing series on plot. The second level of plotting is Scenes: this is where the story moves from the cliched outline level to the specific level of your story. Suppose you want to tell the story of Cinderella, what scenes would you include. The story might start with the love story of Cinderella’s parents. Or, maybe you want to start with her birth. If you list every possible scene for the story, starting with the first time her parents met, until her wedding to the Prince, it’s a huge list! Quest: Cinderella seeks a better place in life and finds that she must set aside appearances to see the inner character of people. Rescue: From the Prince’s POV, he must rescue Cinderella from the clutches of her evil step-mother. Revenge: How Cinderella takes revenge on her step-family. Not often told, but it’s a possibility. Rivalry. Usually the step-sisters are awful and not real competition to the lovely Cinderella. But what if (and great stories are made from what ifs!) one of the step-sisters is a real rival. It’s a new twist on the story. Underdog. Of course, this is the classic Cinderella story. Love. Or is her story the classic love story? Ascension. 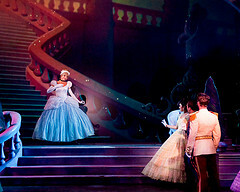 Cinderella’s rise to power in the kingdom. 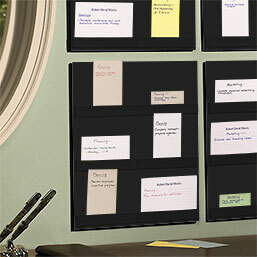 Each plot pattern would require a different set of scenes, emotions, motivations. Let’s take the unusual one of Rivalry, just for fun. First, recognize the minimum required by your chosen plot template. Now is when you need to start deciding on scenes and developing characters. Some of you will concentrate on character, others on events, doesn’t matter. The point is that you know the general outline. Implications of your plot template. You could stop here and think about optional things implied by your plot template: some back story about Cinderella’s position, a fairy godmother, a step-family (cruelness is optional, as long as you explain the cinders), the presence of the father is optional, a kingdom with a prince – king and queen optional, an event where the Prince meets the girls (traditionally a ball or dance, but that’s optional), etc. From here, it’s always a messy matter for me to develop the plot because I go back and forth between character and plot and the implied events from the plot template. Some find this too messy and want to turn to a structure program like the Snowflake plotting or other branch structuring programs. Read more about these on my previous post, 9 Ways of Plotting. While you’re working on the plot, think about one more thing. When you tell a story, you choose the position of the observer or narrator. For example, if you want to tell about a battle, you can choose the point of view of the general sitting on top of the hill, watching the battle unfold below him/her. Or, you could choose the point of view of the soldier in the trenches facing one enemy soldier at a time. This choice of “camera positioning” will mean vastly different stories and scene selection. Both are valid, but they aren’t equal. Most contemporary novels tend to do the soldier in the trenches stories, but there’s no overwhelming reason for that bias, except the belief that the reader will care more in one or the other. Index Card Bleachers hold your cards so you can see them while still shuffling them around. 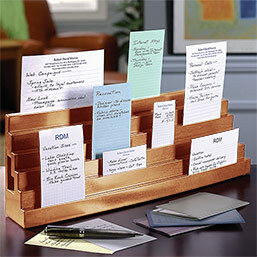 Similar is the Note Card Action Board, a bulletin board for note cards that doesn’t require thumbtacks. Also see my previous post on Plotting Software.